Birth Name: Joseph Edward Penny Jr. 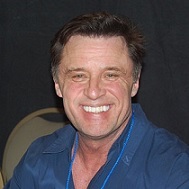 Claim To Fame: Joe Penny is an American actor best known for his roles as Nick Ryder on the detective series Riptide from 1984 to 1986, and as Jake Styles in the CBS television series Jake and the Fatman from 1987 to 1992. Family Life: Penny has been married to his wife Cindy since 2004. 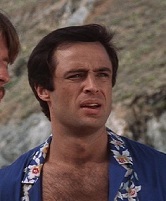 Info: In the 1980s, Joe Penny starred on three weekly series: he played trigger-happy Bugsy Siegel in 'The Gangster Chronicles' (1981), private eye Nick Ryder in 'Riptide' (1984-86) and undercover investigator Jake Styles in 'Jake and the Fatman' (1987-92). Trivia: Born in England to an American father and an Italian mother, but raised in Georgia. Played football during high school in Huntington Beach, California. Odd jobs before acting including washing postal trucks, crew foreman, and dishwasher. Dark, hunky 'tough guy' actor who studied under Lee Strasberg and went on to play heroes and mobsters in mini-movies in the 80s. Best known for his series work with William Conrad in "Jake and the Fatman." First job was a small part in the pilot of "Nancy Drew" TV series. Suffered from seasickness while filming the "Riptide" TV series. He's practicing Nichiren Shoshu, subsidiary of Buddhism. In the end of the '80s and the beginning of the 90s he founded the music band 'Stray Dogs'. Their CD 'This Years Blonde' wasn't successful in the states, but was successful in Europe. Where Are They Now: Penny has kept a low profile in the last decade. His most recent film appearance was back in 2016 with The Last Night Inn. 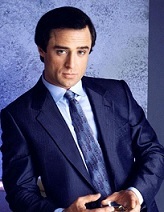 I hope Joe makes a big comeback to television or film.